The United States of America and European countries may with effect from tomorrow, stop issuance of visas to prominent Nigerian elite and politicians. Resident Electoral Commissioner (REC) in Akwa Ibom State, Dr. Mike Igini, who disclosed this yesterday, said the ban would remain in place until after the elections. In an exclusive interview with The Guardian in Uyo, Igini said: “I have been calling on various countries. First I have been advising Nigerians that they should not make election a violent thing. Igini had made similar call during an exclusive interaction with party chairmen and secretaries in the state last Friday. “My call is that, having called on Nigerians to reject violence and those who are planning it, I also think the international community should be involved. Nigeria cannot be in autarchy of best practices, you have the capacity to identify those who are planning violence across the federation. According to the REC, the real threat to 2019 are the elite of Nigeria, and the political class who are recruiting thugs, and pilling up money to buy votes. 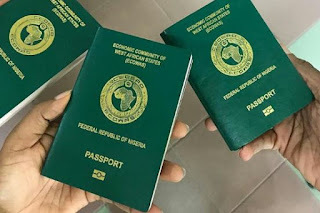 “They are even more sophisticated now, they have hired some houses, collecting peoples Permanent Voters Cards (PVCs), VIN numbers, telephone numbers and are also now collecting their account numbers,” he said. He disclosed that INEC has been receiving the report about these elite and politicians, including their importation of military camouflage and fake police uniforms. Igini lamented that politicians are the greatest enemies of Nigerians, adding that if Nigeria will ever rise to achieve greatness, it cannot do so outside the value and orientation of its elite. The REC stressed that in other climes, security agencies have no role to play in an election, but are supposed to do their normal jobs. But, because of the level of criminality among the political elite, who are very reprobate set of people, ready to kill and read signature blind, security has become an issue today. “The point is that INEC and security are now the focus of either the success, or failure of the 2019 election. For us as a commission, we will stand tall and mighty in the defence of democracy and the rule of law.